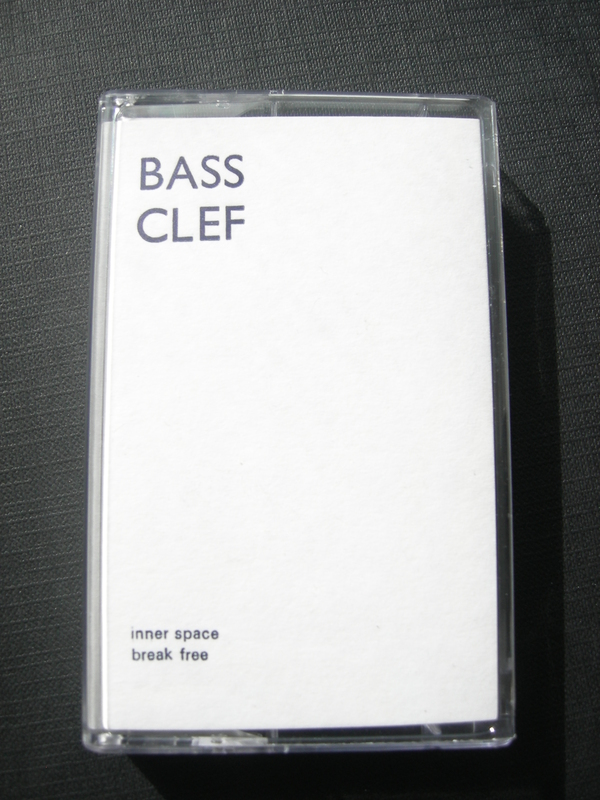 Dear friends, I’m very pleased to say there is a new Bass Clef album OUT NOW! I’m releasing it on tape because I adore them, and all my music is made on a cassette 4-track, so it feels kind of right. It comes on a white cassette with a beautiful sleeve hand-printed on a letter press by the amazing folks at The Print Project. It also comes with a download code for a complete set of 320 mp3s so you don’t have to rip it (or for those freaks amongst you that don’t have a cassette player). It’s called “inner space break free” and it is an open loveletter to underground dance music culture. To the tunes, DJ’s, soundsystems, noisy neighbours and pirate stations that have inspired me and repeatedly turned my head inside out over the last two decades. This entry was posted on April 8, 2011 at 5:29 pm and is filed under Bass Clef with tags Bass Clef, MAGIC + DREAMS. You can follow any responses to this entry through the RSS 2.0 feed. You can leave a response, or trackback from your own site. “I think I’m ready…” is brilliant! Wonderful prose. I’m sure the music will be as well, as ever. 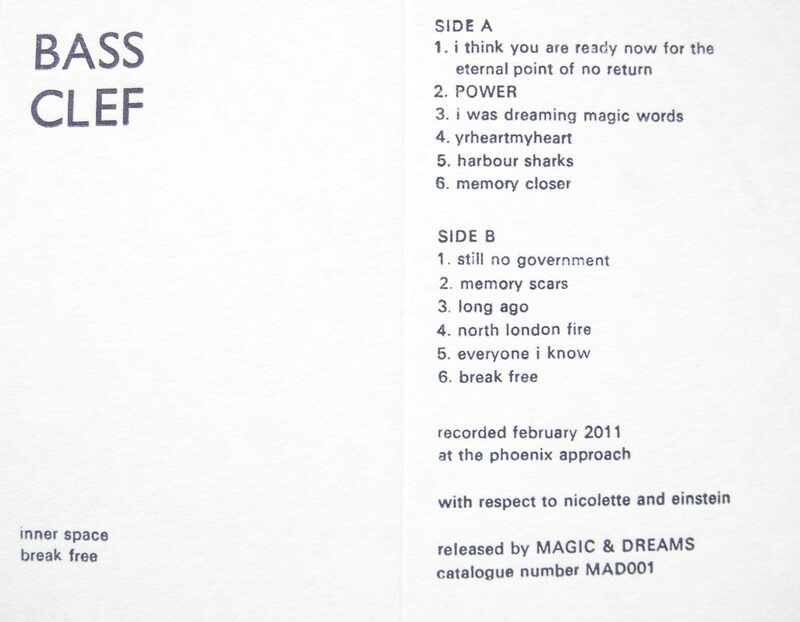 hi, i bought your cassett in “disc shop zero” record shop in japan. but i can not found put code inn… tell meeeeeee!! Thanks for buying the BASS CLEF album! MAGIC + DREAMS send you peace, love and respect. To download your album, please just drop us an email at magicanddreamsmusic(AT)gmail.com and we’ll take care of the rest!